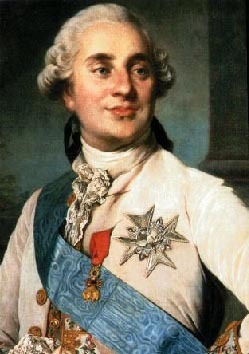 Louis Auguste de France, Duke of Berry and future king Louis XVI, was born on 23rd August 1754. Little is known about his early years. The baby just wasn't important enough to have his every step and move recorded. He was only the second son of the Dauphin Louis of France and his second wife Marie-Josèphe of Saxony, an unusually devoted royal couple. The royal nurses fusses over the Duke of Burgundy, Louis' older brother and heir to the throne, and spoiled the Count of Provence, his younger brother. But they only "took care of the Duke of Berry’s needs." Like it happens to most middle children thus caught in the middle, little Louis suffered from excessive shyness and a lack of self-confidence, which showed themselves from early infancy. The few sources that mention him talk of a child that was "weak" (although this may have been, at least in part, due his wet nurse's lack of milk; as the mistress of the Minister of the Household she had been difficult to fire), "not precocious" and, "who still needs at the age of three to be guided in his tottering walk". Things were made worse by the praise heaped upon his older brother, a genius who could do nothing wrong. Louis just couldn't compare to him. Although the royal children were allowed to have their fun, most of their time was dedicated to studying. Their parents, both philanthropy devoted to charity work, wanted their offspring to see how the poor lived. They thus instructed their tutors to take them to the houses of the needy to "learn to weep" because "a prince who has never shed any tears cannot be good". They also taught their children that the only difference between them and everyone else was virtue. The King should be the model of virtue, always sensitive to his subjects' troubles and amuse himself only after completing his duties and, even then, "only for the time necessary to relax his mind, strengthen his body and take care of his health". Even though noone suspected Louis would be the one to sit on the throne one day, these ideas had a big impact on the shy little prince. At first, Louis was brought up by governesses with his younger siblings but, when he turns 6, he was declared healthy and old enough to "pass to the men" and get a male tutor. He is ordered to join his elder brother, a prospect that initially delighted him. 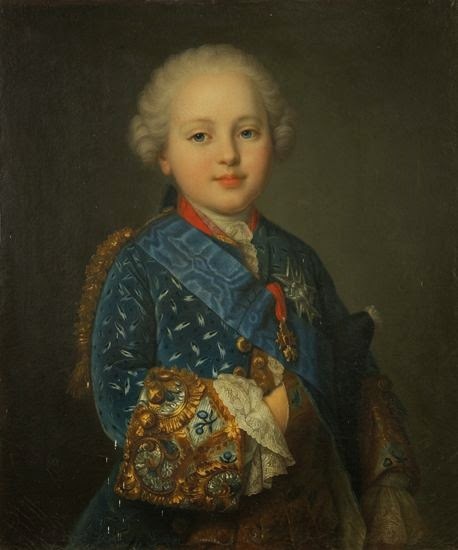 But even though the two little boys were happy to see each other, the little Duke of Burgundy's eagerness to help his brother soon caused troubles. Apparently, in an attempt perfect his character, Louis was forced to listen to a list of his own qualities and faults. Poor Louis! The Prince wasn't even supposed to be with his elder brother so soon. Seven, not six, was the customary age for princes to get a tutor. If Louis was deemed suitable a year earlier wasn't because he was particularly precocious. The real reason was tragic. The Duke Of Burgundy was ill and the doctors, despite their efforts, couldn't do anything for him. Louis was supposed to distract his brother, but also be ready to take his place when the worse happened. When it did, in November 1960, the shy boy, who had always been neglected by everyone at court, suddenly found himself, completely unprepared, at the center of attention. In 1765, tragedy struck again. The Dauphin, Louis' father died. His wife was devastated. 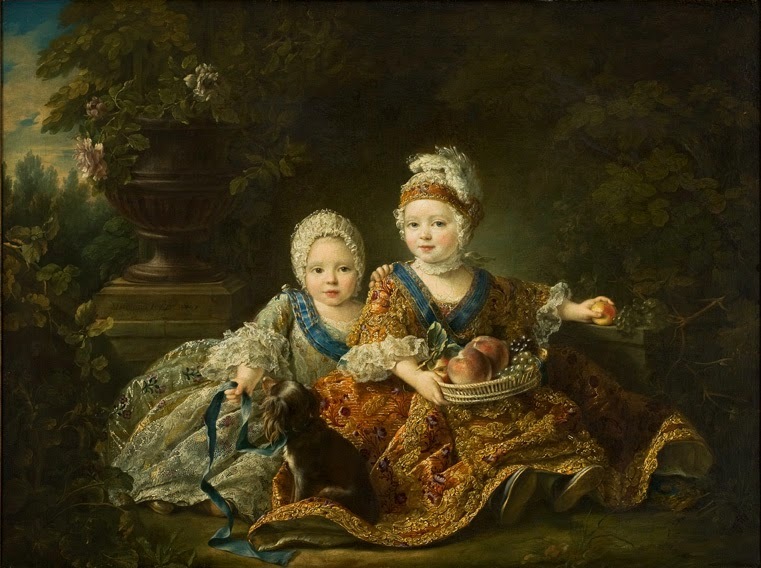 She cut her hair, dressed in mourning, installed black draperies and a copy of the funeral monument erected for the late Dauphin in her rooms, and spent her days praying, encouraging her children to do the same. As the historian Jean-Francois Chiappe commented: "Louis-Auguste, having lost his father, has a living corpse for a mother". His mother was also ill, having caught pulmonary tuberculosis while caring for her sick husband. She would soon follow him to the grave. Their deaths deprived the young boy of the affection of his parents, and left his education firmly in the bad hands of Mr de La Vauguyon. He has been accused of keeping the Dauphin in fear and ignorance so as to be able to better influence him. The tutor didn't see fit to discuss the problems of the time with his pupil, preferring to impart to him abstract moralistic principles and the ideal of a paternalistic absolute monarchy that was slowly becoming archaic as the new revolutionary ideas of the philosophers were starting to germinate and take root in France. His childhood and education had left Louis unprepared and poorly equipped for his job as king. 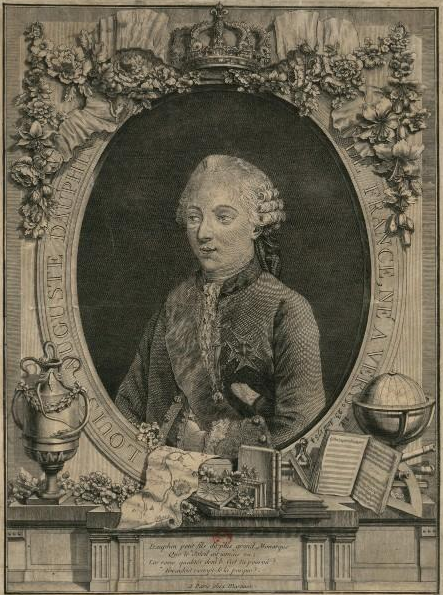 A job he succeeded to at the young age of hardly 20, after the sudden death of Louis XV by smallpox in 1774.